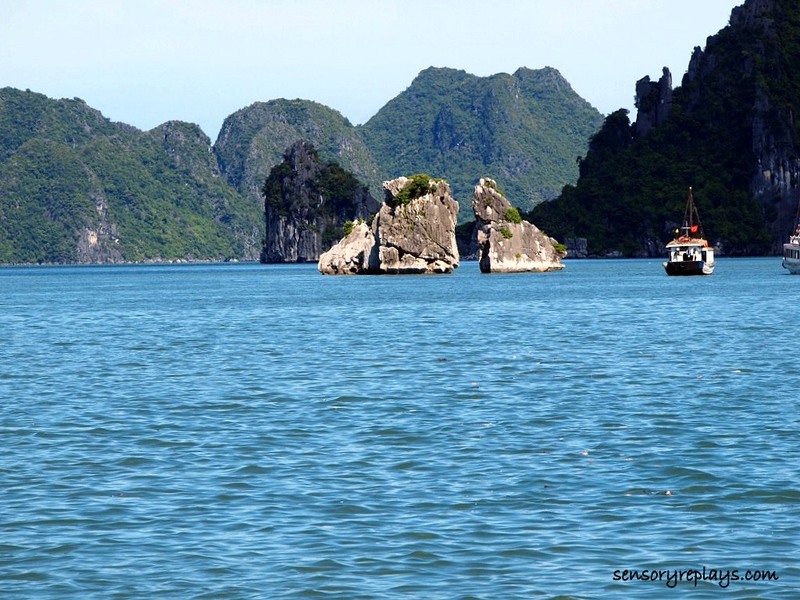 ha long bay, a unesco world heritage site and one of the new 7 wonders of nature is found about three hours ride away from hanoi. mr. duc, the manager from the hotel i was staying on, arranged a day cruise for me which costs $25.00 that included the tour, transport and lunch. i was ready by 8:00 in the morning and the tour guide personally fetched me in the waiting area of charming hotel and directed me to a van parked nearby. when i boarded the vehicle, there were already other tourists inside because it was a group tour. we were asked by the guide to introduce ourselves and which country we were from. our group consisted of a french couple with their three adolescent children, a middle-aged british guy and some local vietnamese. about mid-way to our destination, we had a short stop at a restaurant and souvenir shop where some handicrafts are mostly made by disabled people. 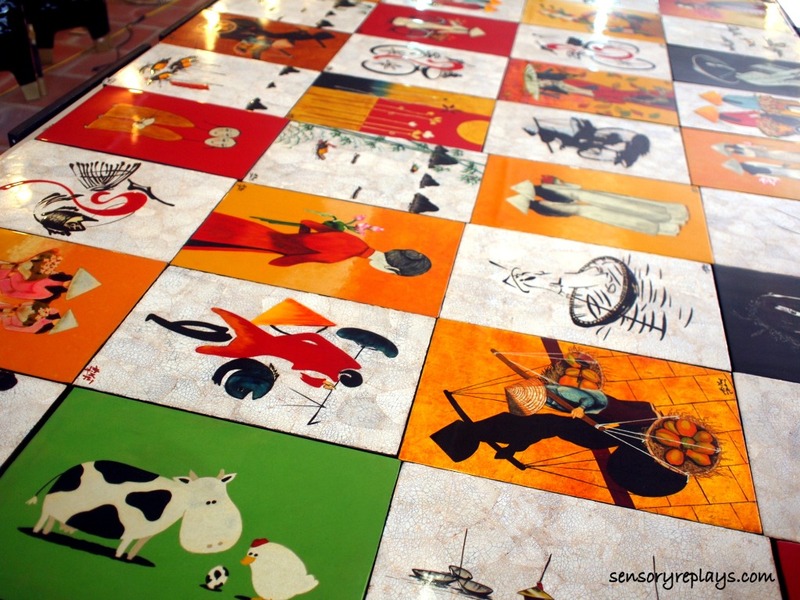 it was not allowed to take pictures but when i was in the lacquerware workshop, they let me snap a few shots. 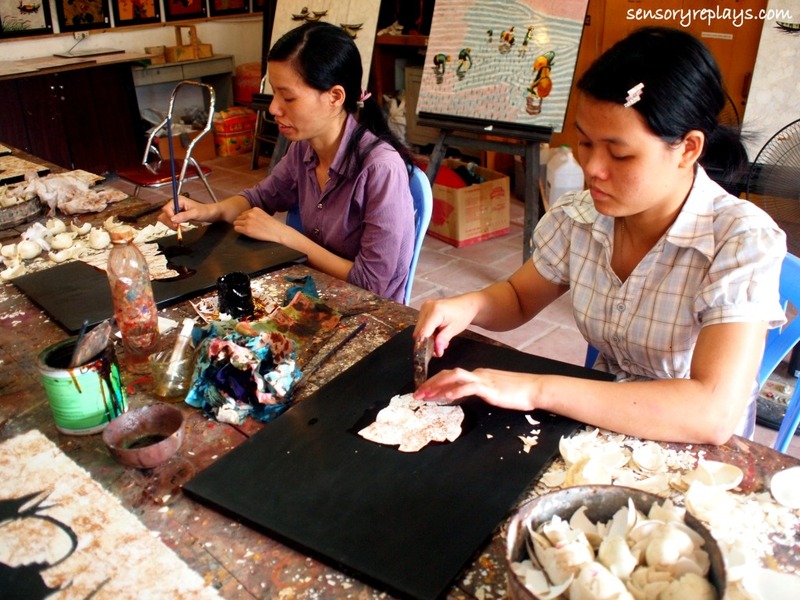 made from inlaid duck egg shells, these lacquer finished paintings are a work of art. 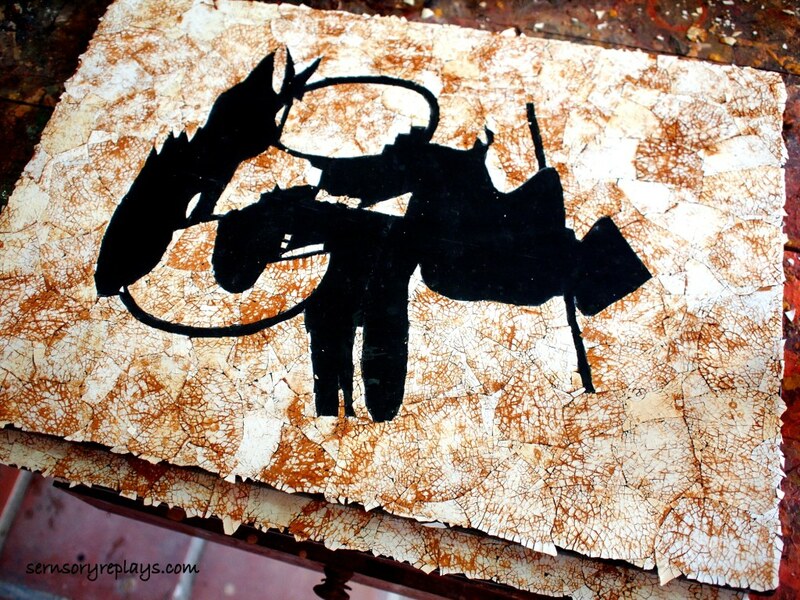 i would have bought a piece but i did not want to go beyond my travel budget. 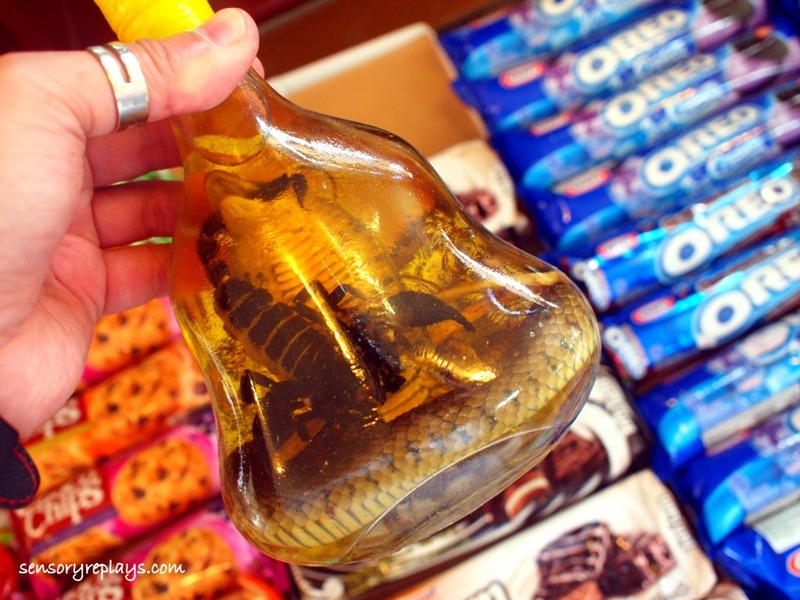 this snake and scorpion wine was along the oreos and other chocolate cookies in the snack bar of the restaurant. it is actually fermented rice liquor (plus a preserved dead snake and scorpion, lol!) and is supposedly health beneficial. 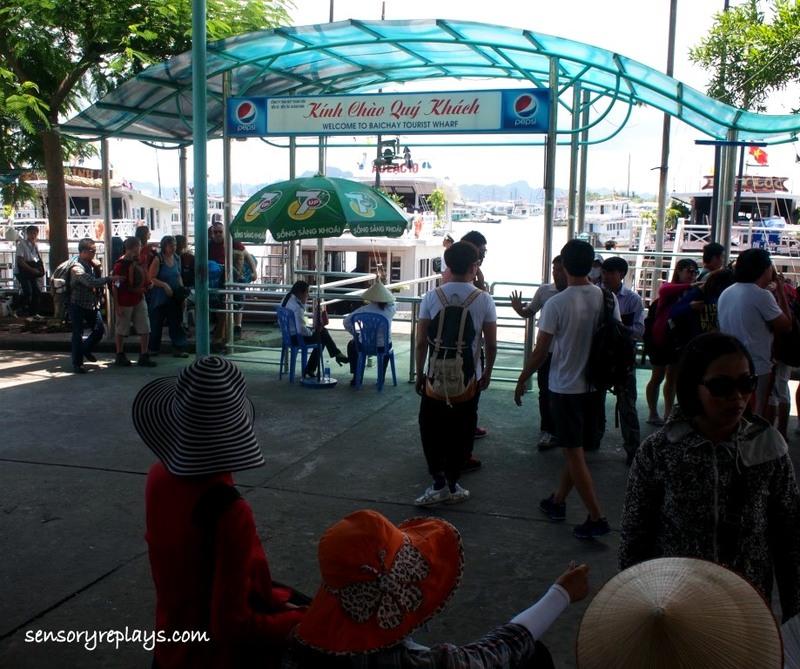 we continued our travel to ha long and we arrived the port. the tour guide distributed our tickets and we waited for our boat. we boarded the boat and it started to slowly ply the waters of the bay. 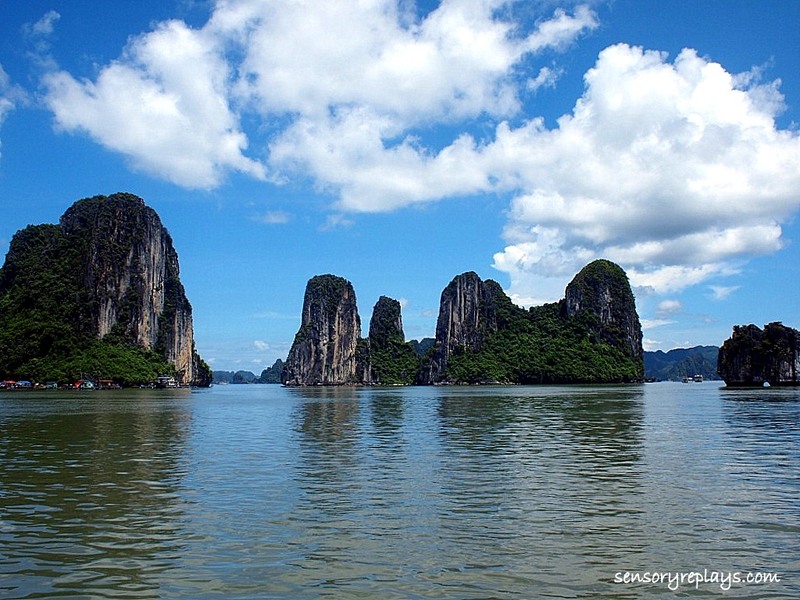 i enjoyed the scenic view of these limestone karsts and cliffs in various sizes and shapes. they were similar to the ones found in puerto princesa in palawan which i visited almost two years ago, the difference is these are many. we were served lunch and stopped by in one small fishing village. 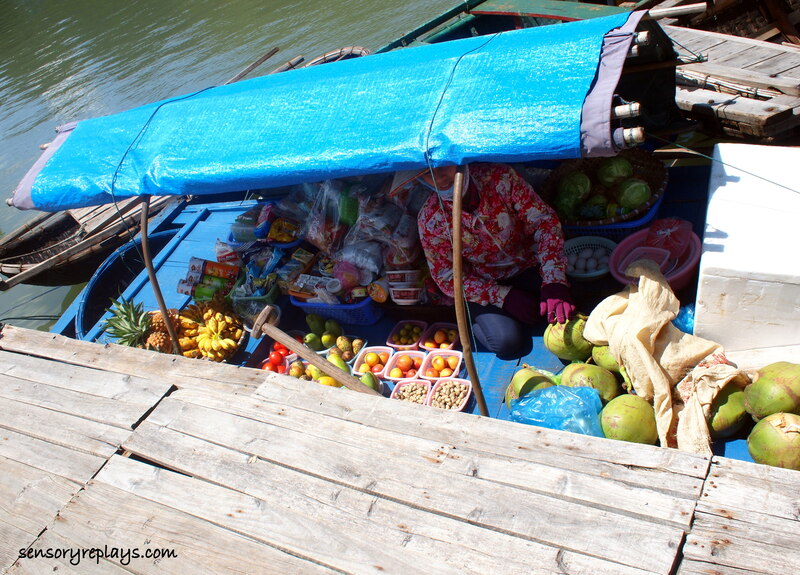 i took a picture of one local woman selling some fruits and vegetables from a wooden boat. 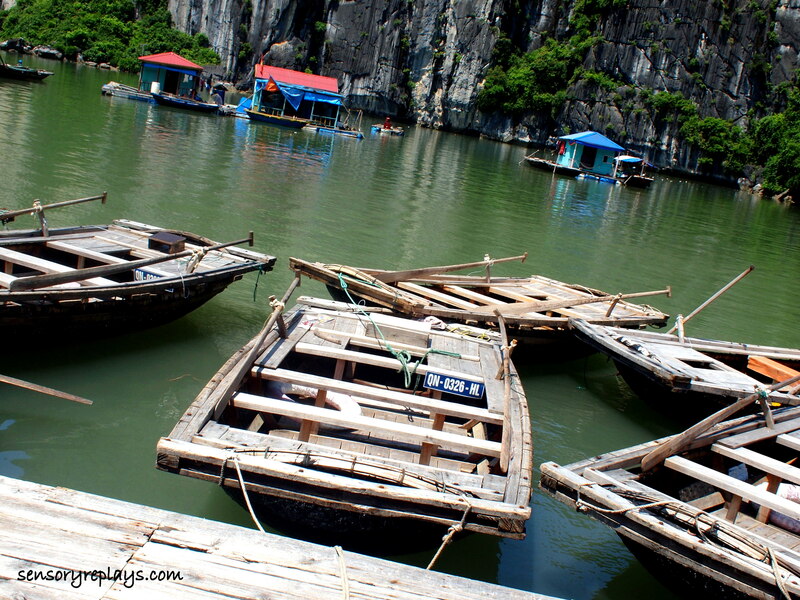 some of the villagers also sell fresh seafood that they farm which can be prepared in the boat. 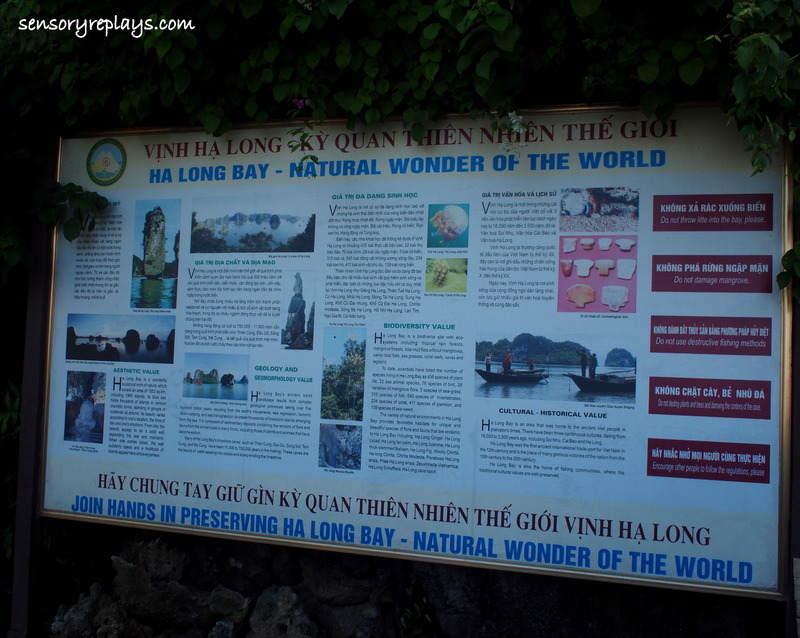 we then visited one of the caves of ha long and before that the tour guide gave us an introduction about ha long bay itself. 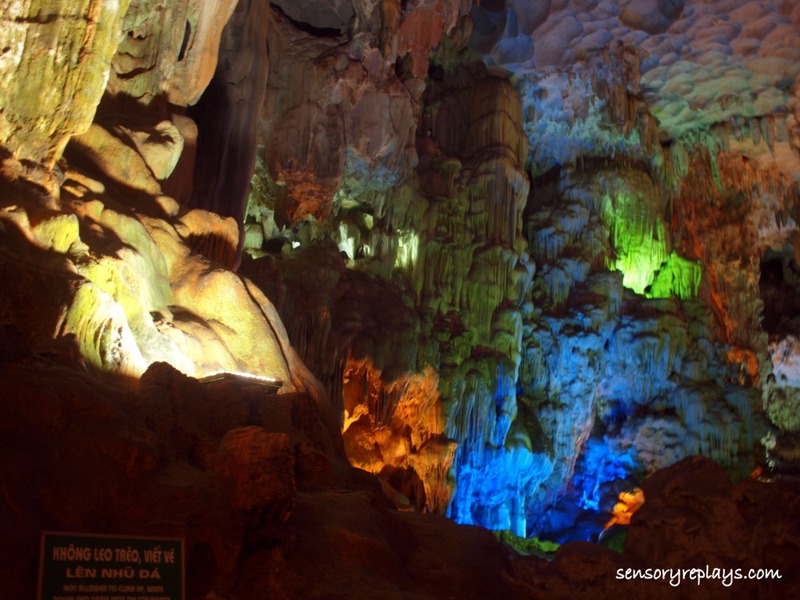 the cave we visited is named as thien cung , a recent discovery as told by our guide. it was illuminated with different colors of lights. there were shops selling souvenir items outside the cave where i bought some ref magnets. 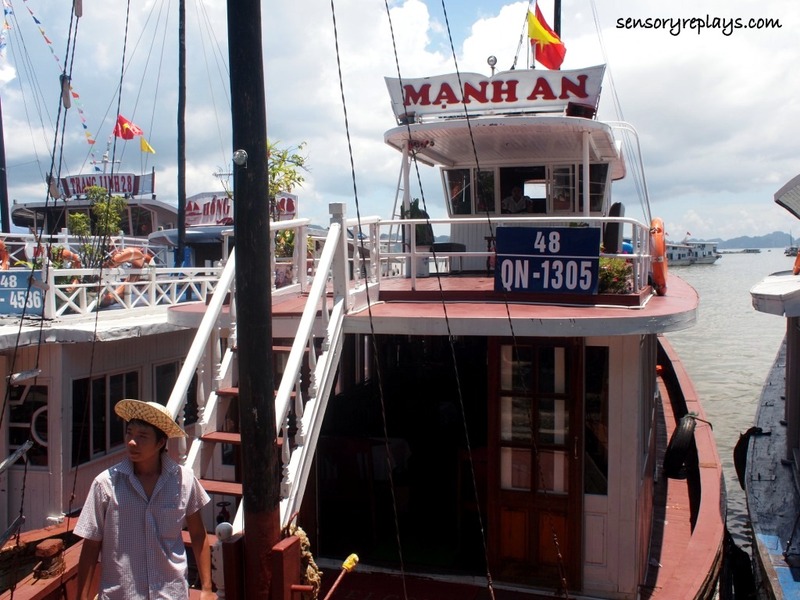 we then travelled back to the port and started a three-hour ride by bus back to hanoi where i was dropped off near the hotel i was staying in hoan kiem district. 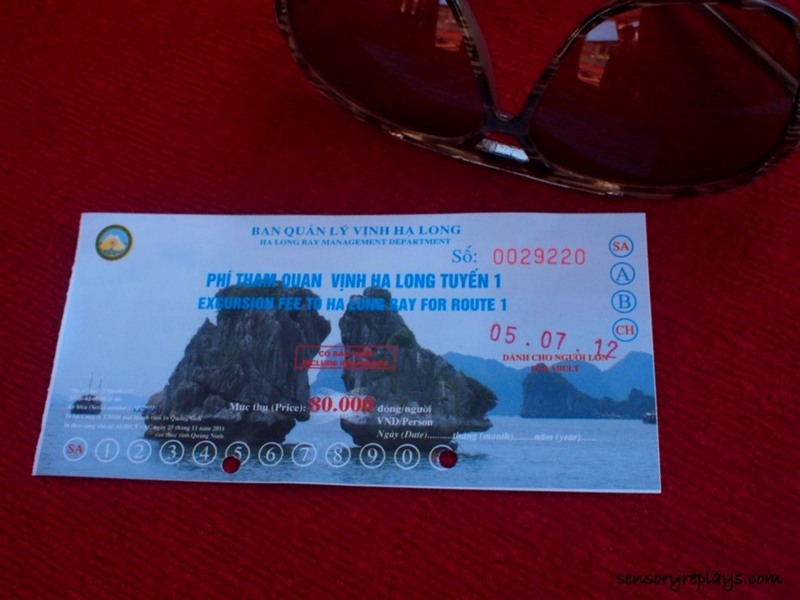 This entry was posted in been there and tagged charming hotel, duck egg shells, group tours in ha long bay, ha long bady day cruise, ha long bay, hanoi, hanoi hotels, lacquer paintings, lone travelling, new 7 wonders of nature, solo travel, unesco world heritage site, vietnam, vietnam chronicles, vinh ha long. Bookmark the permalink. .. you can include it in your bucket list, riz. i enjoyed reading this post, seriously. the photos are visually stunning, story’s fascinating. 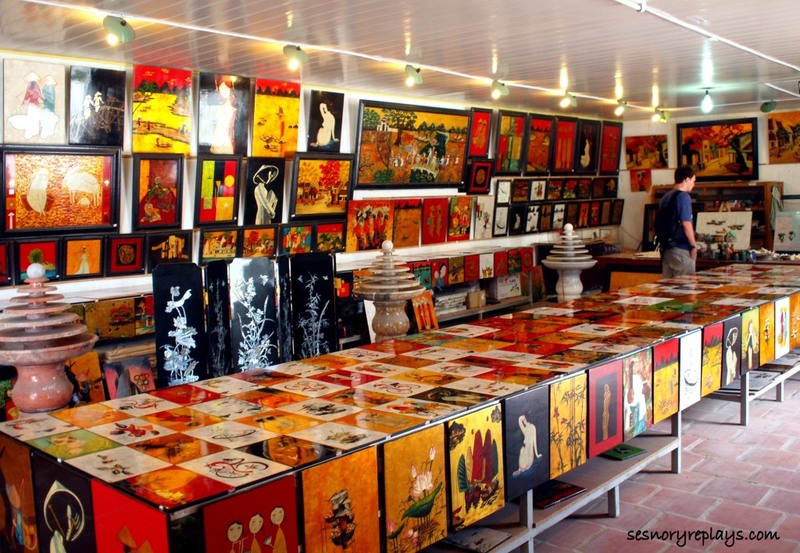 you could have bought a piece or two from that duck egg-lacquer finished painting shop (and send one masterpiece to penang, hehehe!). i like the one with vietnamese peddler complete with shadow in tangerine background. .. pwede ba sa mmk? haha. mahal kasi doc e, pero when my ma saw the picture sabi nya bakit di ko daw siya binili. .. sabi ko lang i’m rob from the philippines, sabi nila kala daw nila taiwanese ako – ano ba yun! mahal, mahal –afford mo naman e! .. masaya sana kung makapkamalan ka na one of the locals like what happened to me in bkk. i regret not getting one, asa huli talaga pagsisisi! 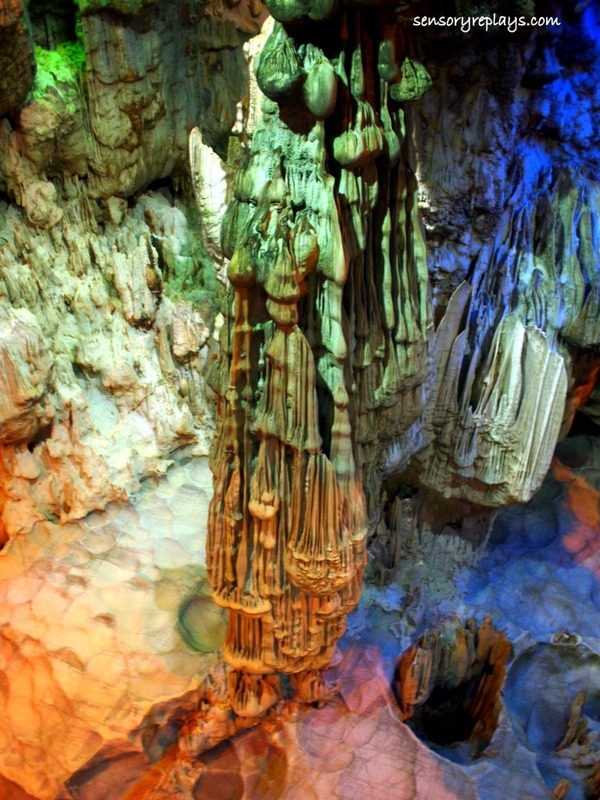 i love how the cave is illuminated by different hues of light! so how was the experience? did it meet your expectation or was it a bit underwhelming? .. hi gaye! honestly, i actually expected more. .. thanks lea. i’ll post more about hanoi soon. 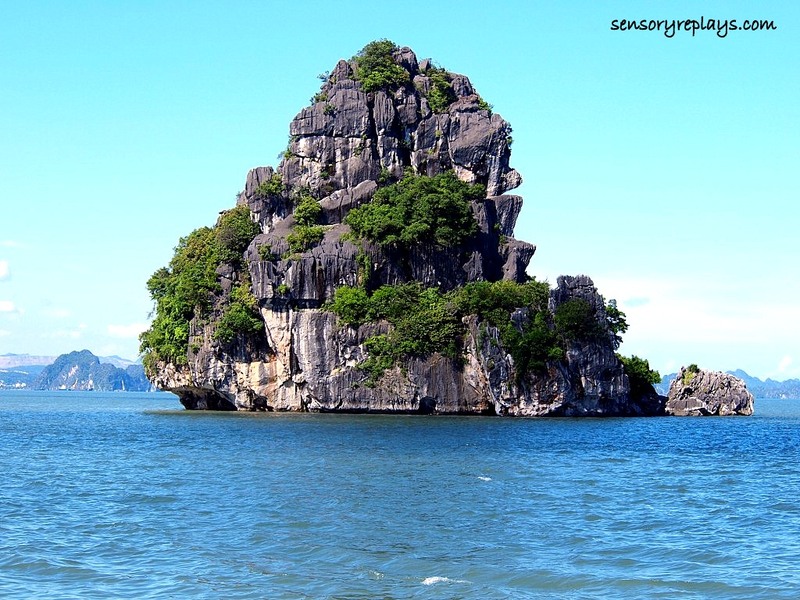 alam mo rob, asa listahan ko yan ng gustong puntahan, yung halong bay. .. naku grace, madali lang sa iyo yang hanoi. mas maganda nga lang yung tubig sa palawan o biased lang talaga ako! 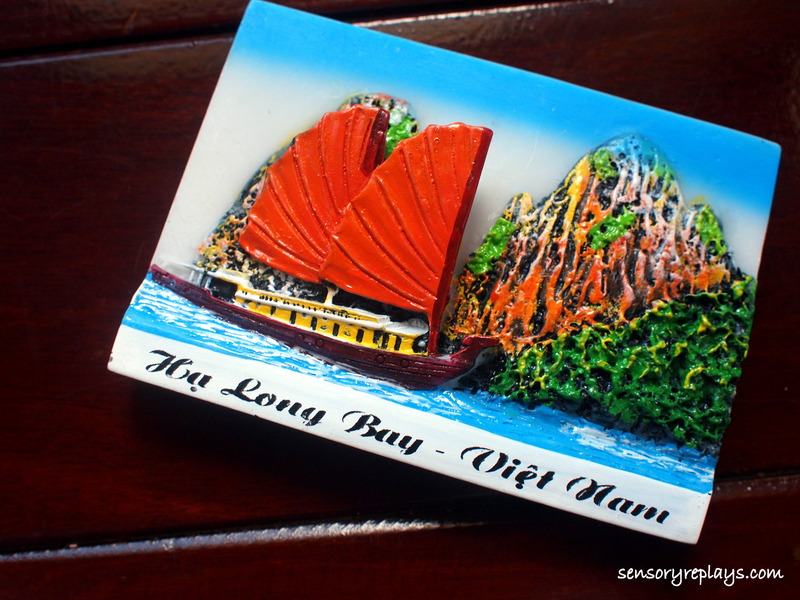 ha long bay was featured too by samantha brown of TLC days ago. ang ganda. .. mas naappreciate ko siguro lito if i stayed for overnight and was there during sunrise. kaya lang di daw safe yung mga boats dyan e.
super ganda! 😀 lamang na lamang ka na talaga sa travels outside! .. watch out for my next destination this october! hehe. 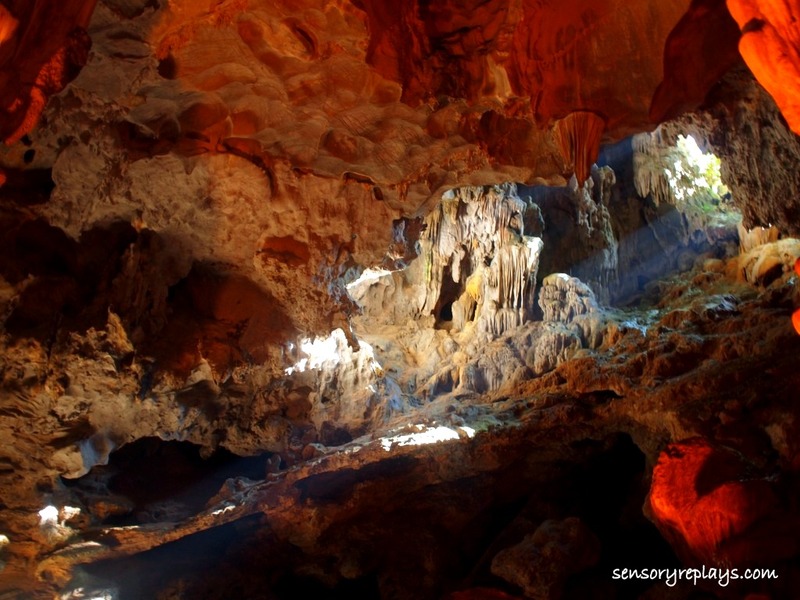 nag-bohol din ako last july, will blog about it after ng vietnam posts. naks, ikaw na ang biyahero, rob! .. ako na ang ubos sahod! haha. hayaan mo na. it’s better to splurge on new experiences and new memories anyway. 😀 sino pala kasama mo sa travels mo? .. well it’s all worth it and it makes me happy. i’ve always travelled alone, except pag pinas lang. yun nga lang maraming disadvantage ang solo traveller (wala kang kahati sa gastos, pipityuran mo sarili mo!). wow, that is something i have yet to get the courage to do! but it sounds really exciting! .. you can, but it depends on the country you’re going, pm. 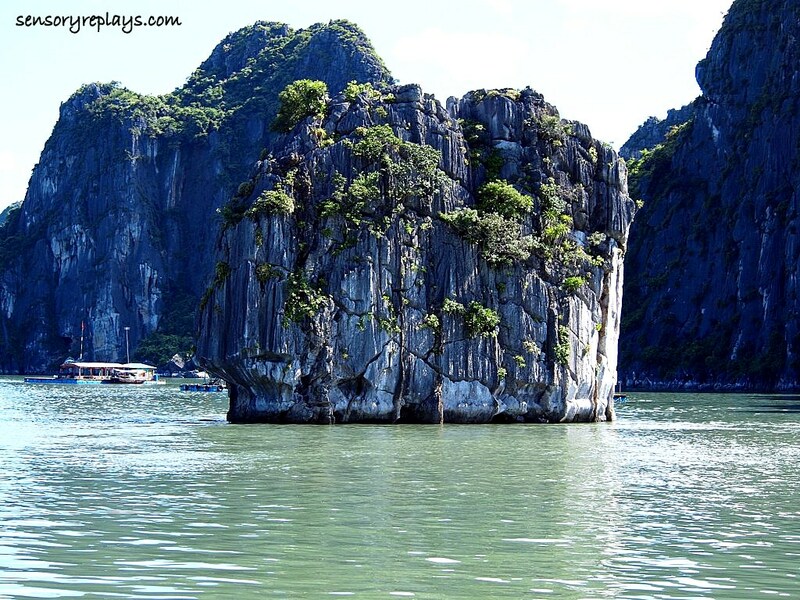 next time i visit vietnam, i’ll include halong bay for sure. .. i think you’ll like it, bert. for me next time, i’m going to saigon to sample their nightlife! 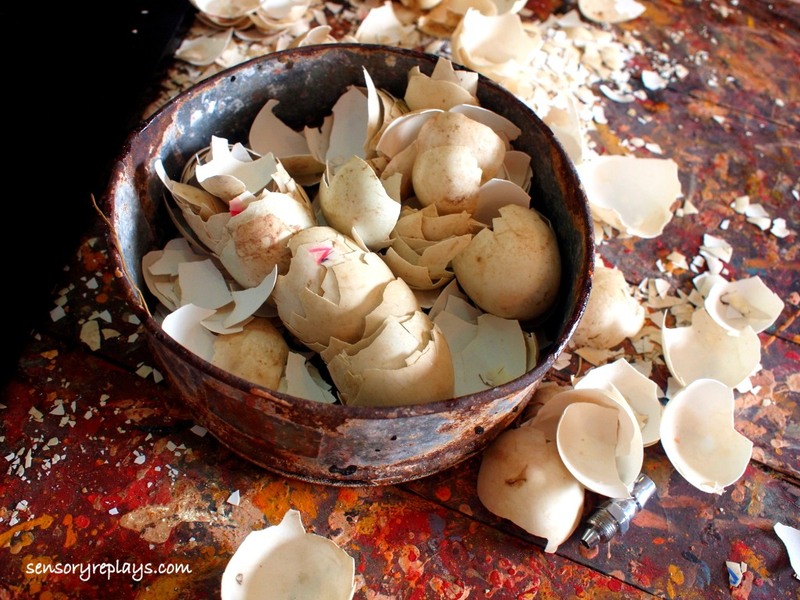 at first i thought the post would be about baluts dahil sa photo hahaha. our neighbor countries are rich in culture. i miss traveling in other countries. but with my limited chance of being granted leaves, i come home to philippines whenever there is a chance. 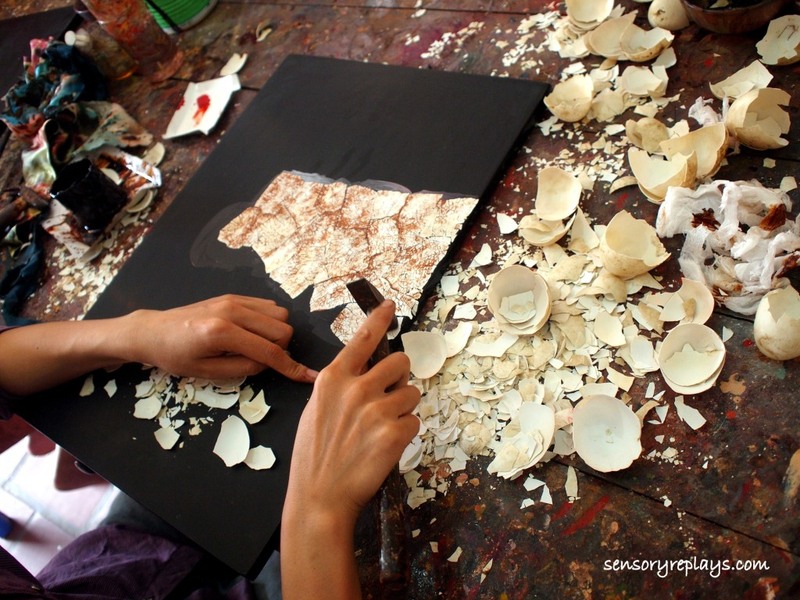 .. it’ll be like a balut-eating contest with that much duck egg shells, hehe. .. it’s just an advantage for me that i can go for days off and be in the philippines thrice a year. though its great to see other countries, di ko ipagpapalit ang pinas.